Raising the dead. A Halloween ghost story! Recently we were contacted by Tim Richardson, an Acworth City alderman, who told us about about a constituent who had a problem. Seems Cheryl had bought some property with an abandoned shed. Looking to have it removed she discovered a large old machine buried in the corner of the building. 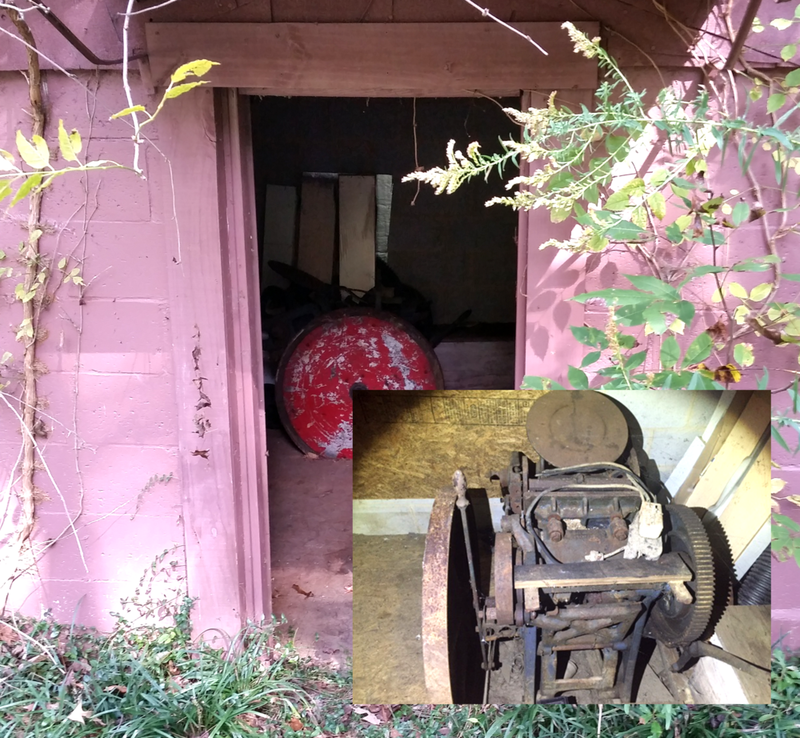 Not only that, the only door in the shed was too small for the heavy cast iron contraption. The property owner googled the name of the machine, Chandler and Price and early 20th century letterpress printing machinery, which led Alderman Richardson to us. Nearly intact, the size and shape of the motor places it from the 1930's. Cheryl contacted the previous owner and they knew nothing about the press. With Cheryl's blessing, we will take on the task of removing and restoring the press. Follow our journey here as we figure out how to bring this treasure back to life.